• Put a fresh spin on your décor by repurposing rusty old wheels, slide carousels, fan covers, pie tins and other things that go 'round. 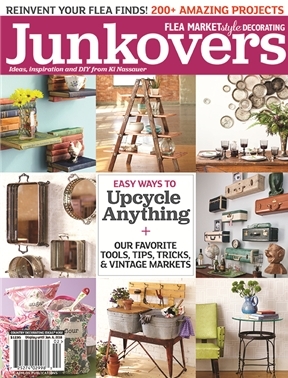 • Give old kitchen gadgets and gear a new life by upcycling them into useful objects in less time (and money) than it takes to have take-out delivered. • Get organized with storage and shelving fashioned from old suitcases, books, ladders, barn equipment, pop crates and even a vintage bicycle! • Turn furniture parts into fun new accessories...or back into furniture.